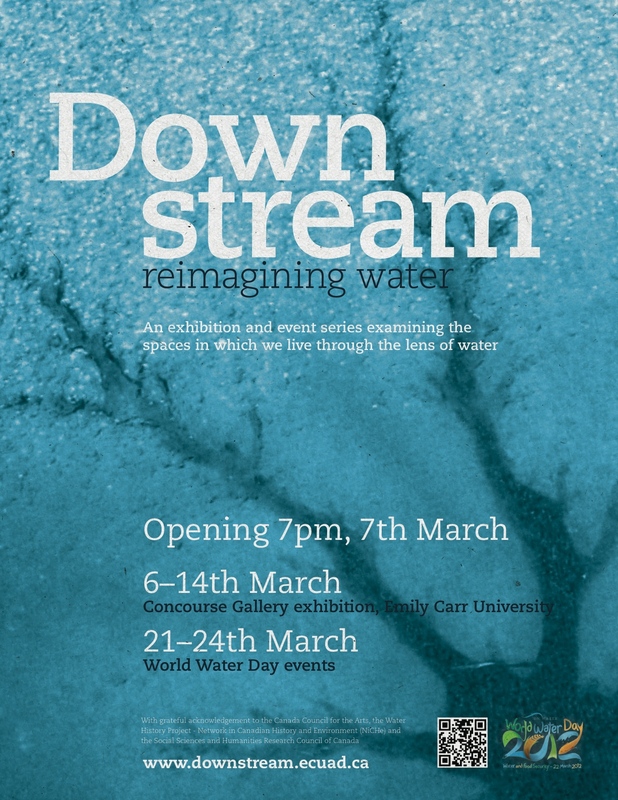 The Downstream: Reimagining Water exhibition took place in the Concourse Gallery, March 6th – 14th. The opening reception was March 7th at 7pm. The show featured works by a wide range of artists who approach water with an equally varied perspective. The artists in Downstream explore our perceptions of watery systems and take a look at how our interactions with this substance shape and change us. We are in perpetual collaboration with water and in this exhibition that collaboration takes on the form of play, biology, interdependence, ecology, place, spirituality as well as voyage. Opening night performance by Dana Tizya-Tramm.